Imagine a machine that automatically responds to your needs. The presser foot automatically lowers at the start of a seam and lifts again at the end. 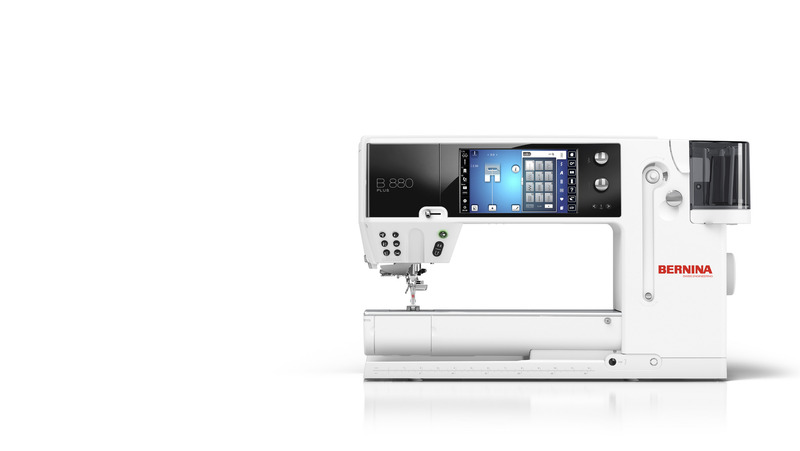 The BERNINA 880 PLUS will even cut the thread for you at the end of a seam or color change in embroidery. The feed dog raises and lowers automatically for free-motion stitching and embroidery. And of course, fully automatic threading is yours at the touch of a button. View BERNINA 880 PLUS product brochure. Experience the BERNINA 880 PLUS PLUS TODAY!